At the start of a project, it is not unusual to make your plans in a spreadsheet. You can quickly enter and manipulate data, and build up a clear way forward for your project. Once it is time to get to work though, something more visual is always the preferred option. 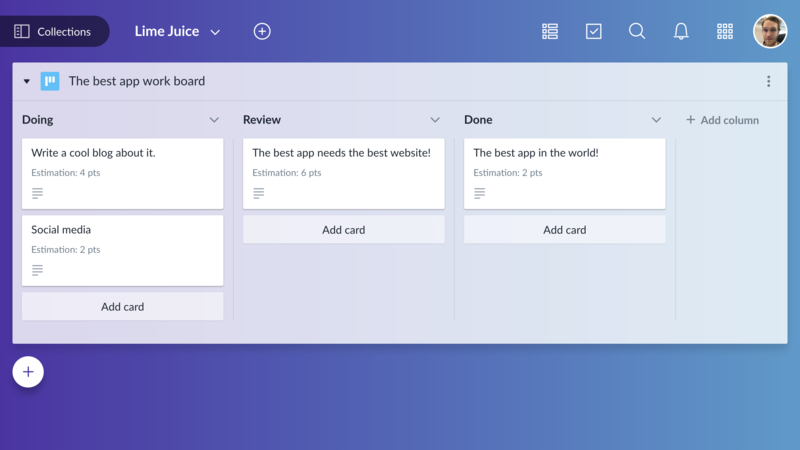 With Favro's interactive CSV importer, you can turn a spreadsheet into a customizable work board or a powerful backlog in a few clicks. Start by going to the collection where you want to add your data and click the plus icon to create a new backlog/board. Next, choose import > CSV. In the following window, simply drag and drop the file you want to import. You will then get the choice of importing a backlog or a board. In the example above, we have selected to import the data as a board so we can visualize our status in a flow. First you get to choose your file's title row. 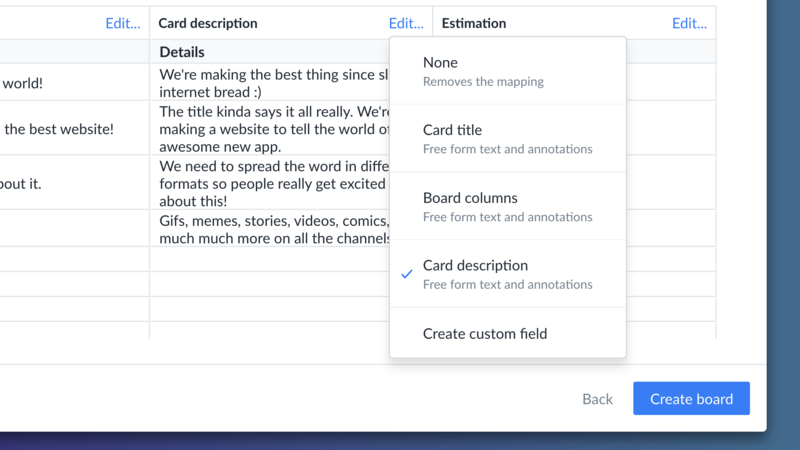 This gives the importer a chance to map your data to Favro card attributes. Next you get to choose which column represents the card titles. Card titles usually represent summaries of the work to be done. In the final step of the process you can choose to customize mappings. The importer tries to intelligently map your data but if you want to make some small tweaks, this is where you do it. Last step is to create your board! 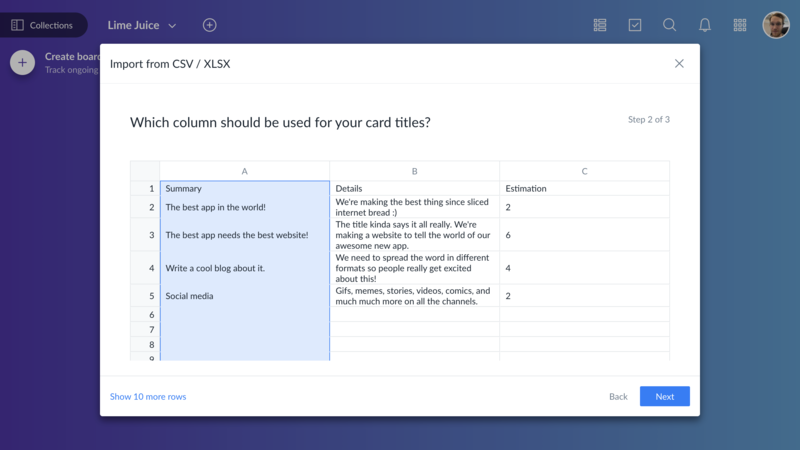 Card titles in Favro are your summaries. This is chosen in the importer by picking a "card title column". Description: free form text which supports markdown. Status: if importing as a board, status can be mapped to board columns. Start and due dates: any ISO format date can be added as either a start or due date. 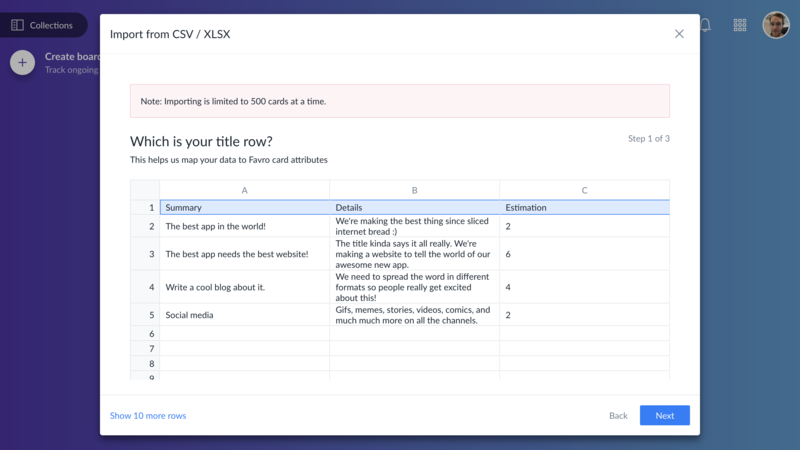 Estimation, custom numeric, custom text: if a sheet column header and its values match an existing custom field in Favro, this will also be imported. Custom fields can also be created during the import process. 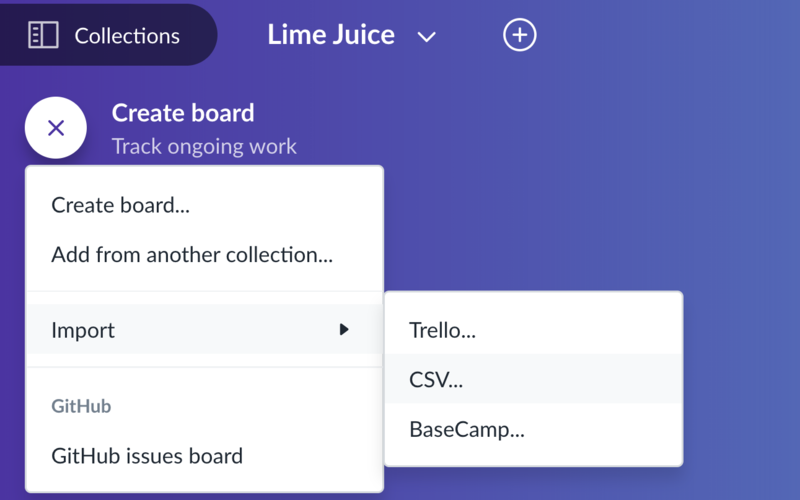 With your data added to Favro, you might want to read a bit more about working in backlogs and boards.